Help, My Cat Has Feline Acne! Feline acne can be a difficult problem, and one best left to a good, feline-friendly veterinarian. In our experience, most vets are canine-centric and often treat cats as a sort of side line. They do their best but they often miss things that a cats-only vet would not. Acne is an alarm that lets us know that there are too many waste products building up in the body. We are not vets and are not qualified to dispense medical advice, but our go-to resource for such information, Anitra Frazier's book The Natural Cat, has some good advice. Ms. Frazier recommends a switch to a raw food diet. If this is too difficult, she recommends double-checking ingredients on wet cat food to eliminate all choices with meat by-products, preservatives, sugar, or artificial colors. Lucy should not be on a dry diet as kibble does not provide adequate cellular nutrition and moisture. Baby food is not a good choice, but there are some very good wet canned diets out there. We have a cat who has significant food allergies and she's done quite well on Instinct canned foods. Never give up on reading labels as the manufacturers often change their ingredients and even what they call things. We have our food recommendations here: http://kittyhelpdesk.com/help-desk/best-cat-food-and-treats . 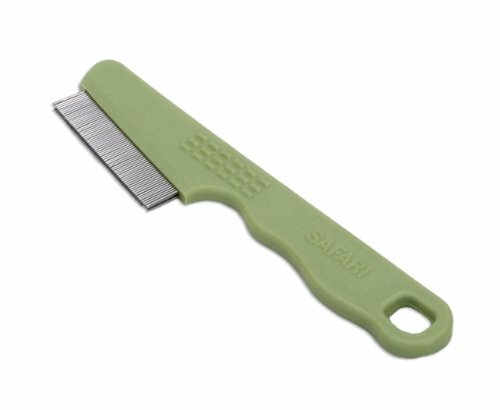 These are good for most cats, regardless of their health issues. You just need to watch out for particular ingredients if Lucy has any allergies. You should begin feeding Lucy a daily feline multivitamin. 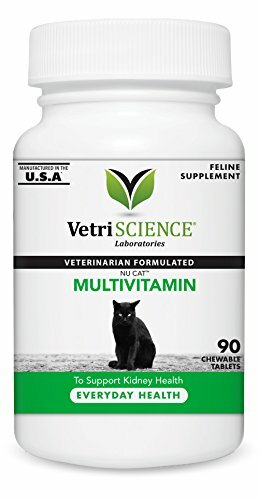 Nu-Cat from Vetri Science Laboratories (vetriscience.com) is a good choice and it's readily available from Amazon and other retailers. Most cats will enjoy eating Nu-Cat as a treat, but if you have difficulty getting Lucy to accept them, you can always crumble them and add them to her food. You can keep the area of acne infection clean by using a hot compress and then gently removing any loose debris from the skin and fur. Follow this up with a bit of peroxide on a cotton ball. After it's done foaming, wash it clean and apply a solution of 1/2 cup water and 1/8 teaspoon white vinegar. Human health care products like Stridex are generally not a good idea for use on cats. It's our NON-veterinary opinion that antibiotics and cortisone will do more harm than good in the long run. Many vets apply cortisone to every animal with any itch whatsoever. This essentially serves to mask symptoms without treating their root causes. Antibiotics can also do the same while adding new symptoms. It's important that you put Lucy on a course of probiotics to restock her intestinal flora after the course of antibiotics has killed them. For a cat with feline acne, you want to avoid mixtures like Purina's Forti-Flora which have additives. 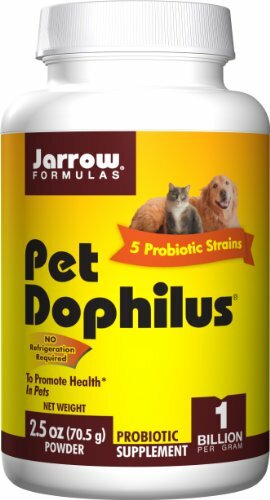 Instead, look for Jarrow Formulas Pet Dophilus powder. Despite the odd name, this is readily available at Amazon and other pet supply retailers. Just add 1/8 teaspoon to one meal per day. You may also want to add a teaspoon of raw, canned pumpkin so the new good flora have something to eat too. We know this is a lot of information. Just take your time and consider your choices. Remember that you are the ultimate arbiter of Lucy’s health care. If you feel your veterinarian isn’t administering the best care, there are always other vets out there. All our best wishes for you and Lucy! Help, My Cat is Bow-Legged! Claudia, cats can sometimes have a sudden onset of leg weakness (usually the hind legs) due to diabetes, a blood clot, epilepsy, or physical injury. Arthritis is also a possibility and some breeds are prone to hip dysplasia. When you add in the facts that he's losing weight and drinking more than usual, the signs indicate diabetes. Diabetes is easily treatable and Sully can live a long and healthy life with the disease, but he needs to see a veterinarian ASAP. Diabetes has become a feline epidemic because of all of the high-carb foods in the marketplace these days. Many of the most popular brands of cat food, especially dry foods, are mostly carbs. Pet food manufacturers are literally getting away with murder by pushing these awful products on an unsuspecting public. The only way we can combat them is to educate ourselves on products that deliver a healthy, species-appropriate diet. Be careful not to fall into the trap of prescription diets for diabetes. Many veterinarians prescribe them and cats seem to get better, but most of those diets are high-carb as well. Feline diabetes can actually go into remission if the cat is fed a species-appropriate diet. You also want to make sure that Sully is getting plenty of exercise every day. At the age of five, he should have at least two thirty minute play times daily, during which he gets a vigorous workout. If you're having difficulty transitioning him to new food, it can help to have these play times right before meal times. We wish you and Sully all the best! Why Does My Cat Shiver? While many cats experience tremors, none should be taken lightly. It's worth another discussion with your veterinarian, especially if you observe any similarities in the instances when Jackie's tremors occur. Common causes of tremors include physical issues like low blood sugar, diabetes, hypothermia, and fever. There are also psychological issues such as fear and brain problems that can trigger tremors and even seizures. While this sounds like a terrible list of maladies, we include it to illustrate just how many different things can cause this kind of thing. For now, we suggest you relax and start a notebook or calendar and note each time Jackie has visible tremors. Note the date, time of day and the temperature in the room she's in. It's also helpful to note when she last ate prior to the tremors. Then, the next time you take Jackie to her vet for a checkup, you can talk to them about the tremors from an informed perspective and even show them the data you've collected. You may even find that the tremors happen so infrequently as to be unimportant. Chances are, if she's lived with these tremors for several years now, it isn't a big deal, but only your vet can tell for sure. We wish you and Jackie all the best!